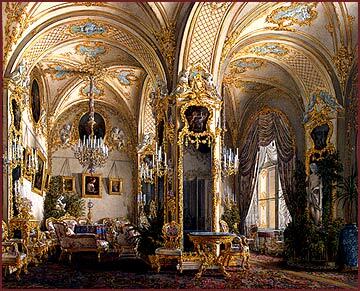 The Baroque Winter Palace was built in 1754-1762 for Empress Elisabeth, daughter of Peter the Great. By the time it was completed Elisabeth had already died, and only Catherine the Great and her successors could enjoy their new home. 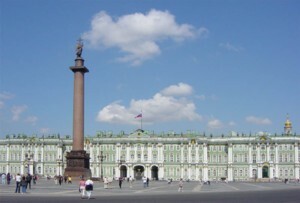 Located on the bank of the Neva River, the Baroque-style palace is the major attraction of St. Petersburg. Many of the impressive interiors have been remodeled since then, particularly after 1837, when a huge fire destroyed most of the palace. The green-and-white three-storey palace is truly impressive: it has 1786 doors, 1945 windows and 1057 halls and rooms, many of which are open to the public. Now, the Palace is part of a group of magnificent buildings that is called the State Hermitage Museum which holds one of the world's greatest collections of art.